We hope you'll play along! Just link you creation HERE, and remember, if you play along with at least 2 challenges this month (without combining our sketches & recipes), you’ll be entered to win either your choice of 2 Stamps OR this month’s PaperCard Kit! How CUTE is this??? LOVE the papers and this SUPER cute image!!! Oh my word Kerri thsi is just TOOOOOOO CUTE!!!!! What a cutie patootie :))))) Awesome colors and design girly!!! Happy Friday! What a wonderful card Kerri, super cute! Oh how cute is this!! 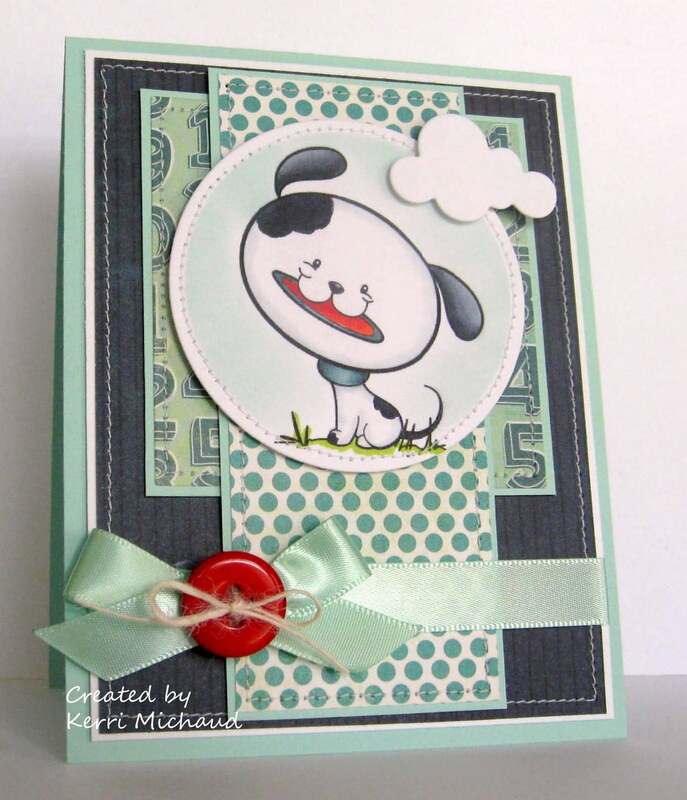 Love your image Kerri and awesome design/ layout! He really IS a cutie patootie....look at that big ol' happy head he's got! I *think* I have that same die..and love that you added in a cloud with the sky colors you have here. Been meaning to ask - are you still using/happy with your new camera? He is a cutie-patootie! Love how you added little cloud!